Dwayne Johnson, Channing Tatum and Bruce Willis star in the explosive global hit “G.I. 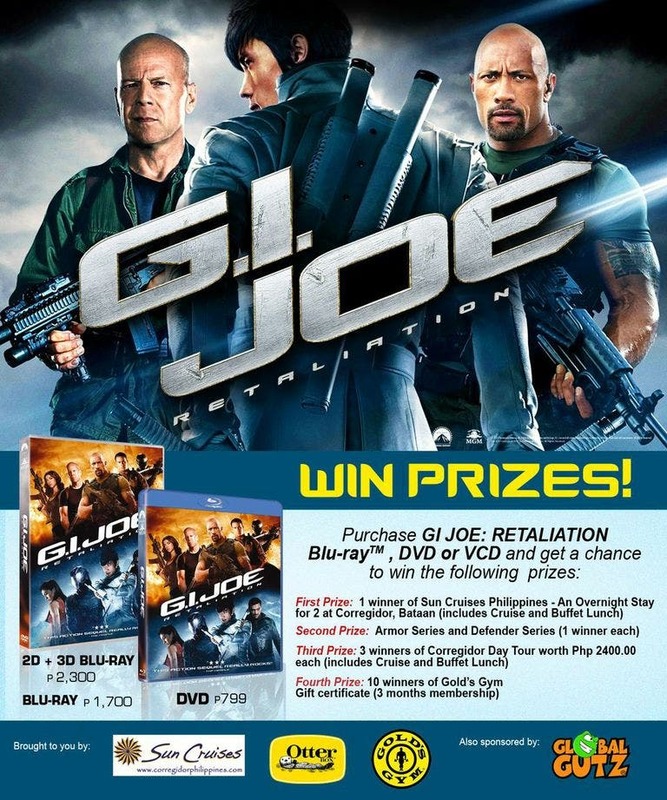 Joe Retaliation.” Fans can be the first to wwn the action extravaganza on Blu-Ray and DVD plus win cool prizes! Called “a stunning, high-flying, super-charged blast of fun” (Shawn Edwards, FOX-TV), the $ 355+ million worldwide blockbuster G.I. 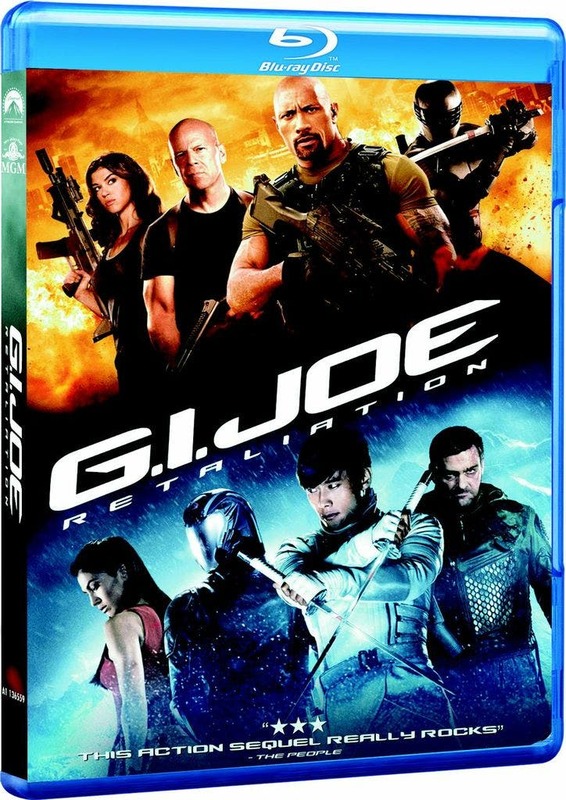 JOE: RETALIATION explodes onto Blu-ray (PhP1700), Blu-ray 3D (PhP2300), and DVD (PhP799) this month from Paramount Home Media Distribution. “Born to play a G.I. JOE” (Scott Bowles, USA Today), Dwayne Johnson embodies ROADBLOCK and he and Channing Tatum “are a match made in action flick heaven” (James Oster, JoBlo.com) in this “cool ride” (Richard Corliss, Time) that is “awesome times 10!” (Shawn Edwards, FOX-TV). From Paramount Pictures and Metro-Goldwyn-Mayer Pictures, G.I. 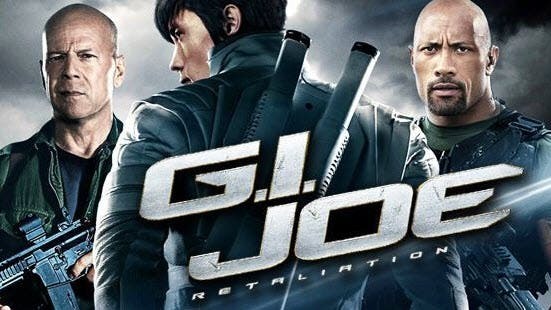 JOE: RETALIATION also stars action legend Bruce Willis as the original G.I. JOE, as well as Adrianne Palicki, D.J. Cotrona and Jonathan Pryce. In director Jon M. Chu’s heart-pounding thrill ride, the G.I. JOE team not only faces off against its mortal enemy COBRA, it is also forced to contend with threats from within the government that jeopardize its very existence. Customers who will pre-book the Blu-ray or DVD will receive a free Global Gutz All Day Pass (Paintball challenge). Meanwhile, everyone who will purchase the Blu-ray, DVD or VCD will get a chance to win any of the following prizes: ten (10) winners of a Gold’s Gym 3- month membership gift certificate, one (1) winner of an Armor Series and one (1) winner of Defender Series from OtterBox, and three (3) winners of a Corregidor Day Tour (includes Cruise and Buffet Lunch) and one (1) winner of an Overnight Stay for 2 at Corregidor, Bataan (includes Cruise and Buffet Lunch) from Sun Cruises Philippines. G.I. JOE: RETALIATION is now available in video stores nationwide. This entry was tagged ‘G.I., Blockbuster, BluRay™, Bursts, Onto, Retaliation’, ThrillPacked. Bookmark the permalink.